Spring and summer are a great time to have parties on the lawn or patio. Many people get married and have holiday parties for Memorial Day, Independence Day, and more. Party planning and execution can be extremely time consuming and difficult. Sometimes it’s better to turn over the little things to professionals who know how to take care of things quickly and efficiently while you focus on the big issues still at hand. 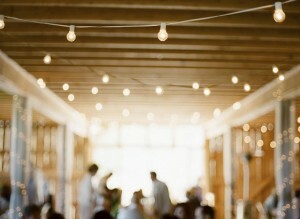 Lighting is one of those little things that can really set the tone and mood of a party or reception. Following are some occasions that can be improved with the use of temporary lighting and the help of a temporary lighting service! Wedding reception – We’ve all seen those receptions where there are hundreds of white fairy lights and the bride looks like she’s floating on air. This look can be achieved with a temporary lighting solution. Reception planning takes a lot out of the bride and groom, though, and sometimes it’s nice to have someone else take care of setting up all of the lights around a tent or in the reception hall. Don’t get overwhelmed in the details; call someone who can help. Independence Day party – The 4th of July has basically turned into one giant party to celebrate American independence. Setting up red, white, and blue lights for your backyard BBQ or party will help you keep the party going long after the fireworks have been shot off and everyone has dealt with the nightmarish traffic to get back home. Instead of going out and dealing with all of the craziness, throw your party at home and add some festivity with patriotic lights! Graduation parties – High school and college graduations are a life changing experience for those getting ready to go out and join the real world. Help your grad enjoy one last hurrah before heading off to college or into the working world. Having temporary lighting put up can aide people in finding the party location and will make your grad feel even more special during an important time of their life. Light your party up with temporary lighting from Aqua-Bright. If you give us a month’s notice, we can work closely with you to decide what your best temporary lighting options are and how you want everything set up. For more information about temporary lighting in Baltimore, Maryland or the surrounding areas, call Aqua-Bright today at 410-489-9009 or take a tour through our website. This entry was posted on Friday, May 16th, 2014	at 4:53 pm	. You can follow any responses to this entry through the RSS 2.0	feed. Both comments and pings are currently closed.